Loved this one it was really well written, loved the romance and that cliffhanger i need book 2 now! I had the absolute pleasure of receiving an ARC of Broken by Lies by Rebecca Shea for review! I absolutely loved it!!!!! I am so happy I had the pleasure to read this book. Everything from the characters to the plot line was written to absolute perfection. The characters were described beautifully and the plot line was dynamic and detailed. Overall, this book was absolutely phenomenal! I will definitely be rereading this book as well as recommending this book to everyone I know. This is a definite 5 Star read! If I could give it more, I definitely would!!! This title is perfect for this book. 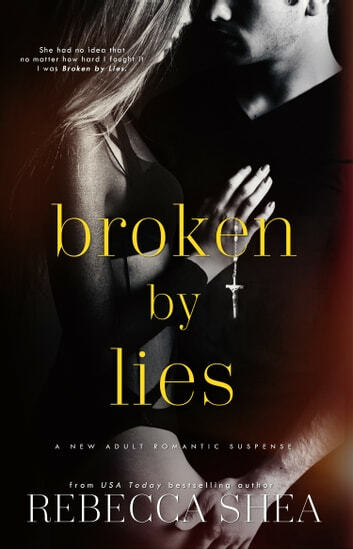 WOW This book was a story of struggle, sadness,happiness all wrapped together, This is the 4th book I have read by Rebecca Shea can't wait to read part 2 Bound by Lies, brilliant author. It was a mind blowing book. It has so much mystery and intrigue. This is the reason why I love it. I'll admit the mystery kind of maybe dragged on for me but it was such a great book that I can overlook that. The writing and the words more than make up for that!